Are any of you watching The Affair? This show is so good that I am rewatching the finale just to make sure there is nothing that I missed. I am so sad that I have to wait until next October for season 3! Anyway -- Christmas week is here and I am excited to start off the activities. I decided to take the week off between Christmas and New Years and I am so looking forward to that as well. I see lots of pajamas and snuggles in my future. I think it would make a great gift for any new mama. You can find it here. Okay I am too heavily back into The Affair so off I go! If you're not watching it you're seriously missing out!! If you did watch it sound off below! I totally back date stuff...I love when Hallmark stores have sales on old ornaments because I can fill in the gaps from years passed (past?). Hahaha!! I love it. I really need to get on that, stat. That's my favorite week to take off! Enjoy, friend! HOLY CUTENESS!!! Umm believe it or not, I'm pretty sure I don't have a first Christmas for Mason either... you know from 2012. OOPS. Might have to go check out that Etsy site!! Thanks for the recommendation! I totally need to do that. 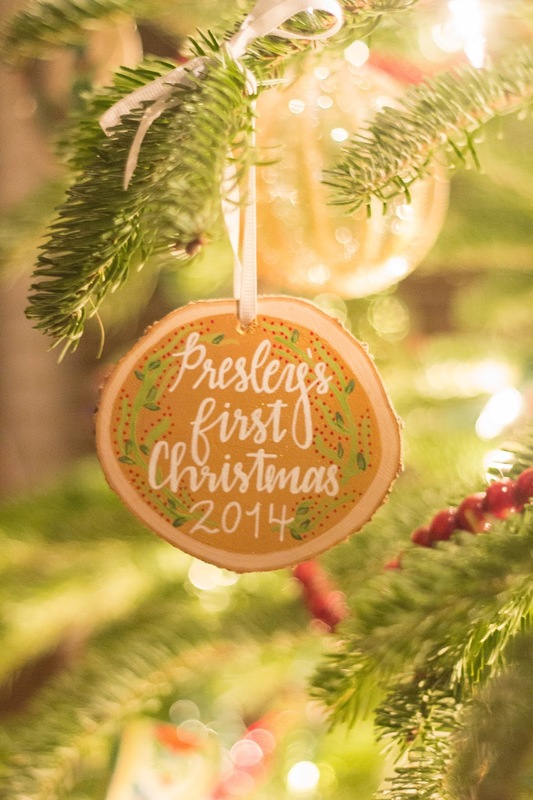 I never really got Avery an official first ornament - what a great idea!! I had not heard of The Affair but totally gonna start it in January when my husband starts working late again. I go through so much TV during the academic year. I've never watched The Affair. I wonder if it's on Netflix. I will have to check. And that ornament is darling! !